English speakers have a unique chance to peek behind the Iron Curtain of the world’s most secretive country. North Korea has introduced a new program, which will see foreigners providing training for local tourist guides. Over a month, specialists will teach English and the basics of working with tourists at the Pyongyang Tourism College. The North Korean travel company, Juche Travel Services (JTS), which launched the project, said it’s interested in foreigners with a Tefl (teaching English as a foreign language) qualification, or English speakers with experience in tourism management. North Korea has recently begun investing in tourism, with Masikryong ski resort and the ‘tourist city’ of Wonsan becoming one of the Communist state’s top prestige projects. Western interest in North Korea has been on the rise since 2009, with an estimated 6,000 tourists annually visiting the country through accredited travel agencies. The company says it’s operating on a non-profit basis, which means foreign teachers won’t receive a salary in North Korea. On the contrary, they will need to fork out €1,000 to participate in the program, which includes travel, accommodation and tourist excursions. 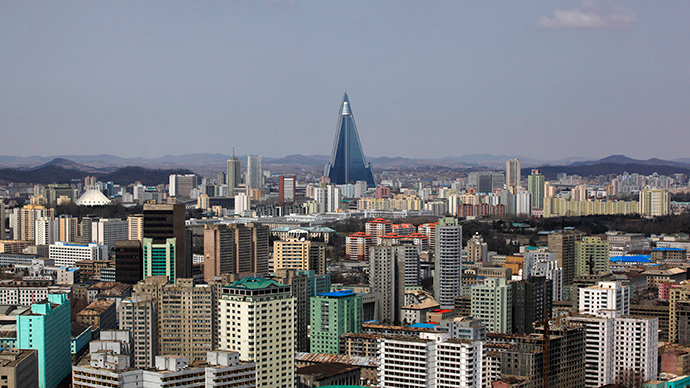 JTS plans to invite up to five English-speakers to the country’s capital Pyongyang this year, with trips preliminarily scheduled for May and November. According to Thompson, volunteers will face the same restrictions as other tourists in North Korea. “To my knowledge there will not be the opportunity to wander freely,” he said. Foreigners arriving to the country are usually closely monitored by the secret services, and are only allowed to interact only with specially selected members of North Korean society. UK student, Ben Griffin, one of the first to take part in the program, said he was surprised to find his students “were just real people,” with the same worries and interests as young men and women their age anywhere in the world. Griffin added that he showed his class the British sitcom Only Fools and Horses, and the movie adaptation of The Hitchhikers Guide to the Galaxy, both of which went down well with the audience. Thompson stressed that JTS maintains “tourism has a positive impact” on North Korea and its relations with the outside world. “By building bridges and engaging with the country, you are helping to break down mistrust and preconceptions that have persisted for the past 60-odd years. That can only be a good thing,” he said.